Scope: New construction of a 40-unit rental housing facility for seniors 62 and older. The Roxbury Crossing Senior Building is a four-story building with one-bedroom units averaging 530 square feet. All residential units are affordable, with 20 units reserved for households earning no more than 30 percent of the area median income and 19 units reserved for 50 percent of the area median income. The building features a variety of social amenities for residents, including a large community space at ground level with handicap-accessible bathrooms and kitchen. The building is a Type IIA construction, block and plank with supplemental structural steel framing at bays, corners and parking areas. The exterior envelope is masonry veneer / hardy siding. 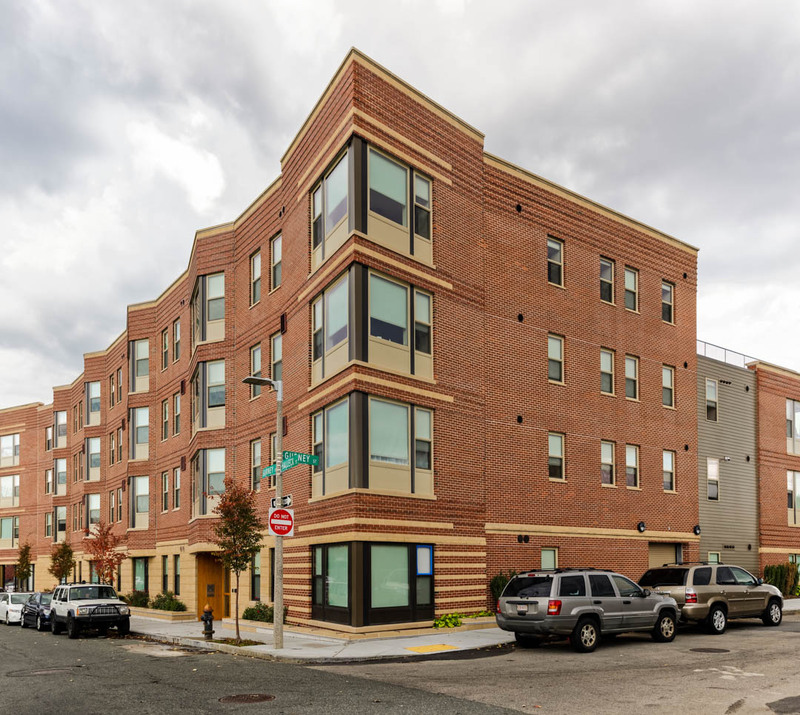 The Roxbury Crossing Senior Building was the first phase of MHNHS’ plan to redevelop 2.5 acres of blighted land into a walkable, transit-oriented neighborhood center. The area was originally demolished by the Federal Government in the 1960’s for a never-built expansion of I-95.